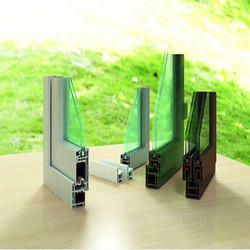 Leading Manufacturer of lesso upvc profile from Gurgaon. Lesso is one of the biggest manufacturers of UPVC Window & Door Profiles in the world; we have the brand “EITI” and “Skyreach” for our products. With state of the art production facilities in China and Canada, LESSO products meet the highest requirements, fulfill CNSA standard and AAMA (American) standard. Lesso UPVC Profile is designed as per Indian tropical conditions. Lesso offers a wide range of Colour Options for the profile, which is available in various colors like white, off-white, Agate Green, Anthracite Grey, and Coffee Brown etc.